Federal Transportation Minister Andreas Scheuer said: "This is a visionary research project for our digital test site, the A9 highway. 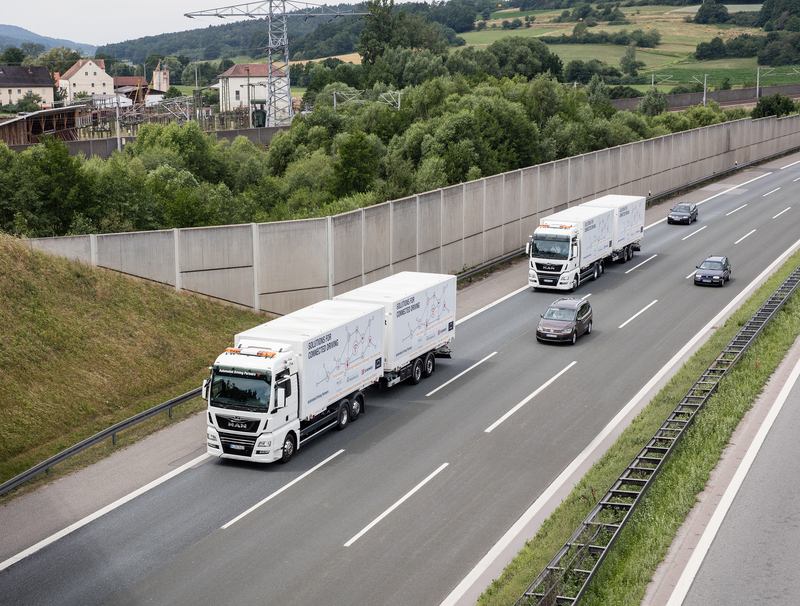 The project marks the start of the automated and networked future of road haulage. We bring tomorrow's technology onto today's roads, testing the intelligent interaction of man, machine and material. Our opportunities: logistics processes—from ramp to customer—can become safer, more efficient and more environmentally friendly. And truck drivers can become modern logistics specialists in digital trucks. 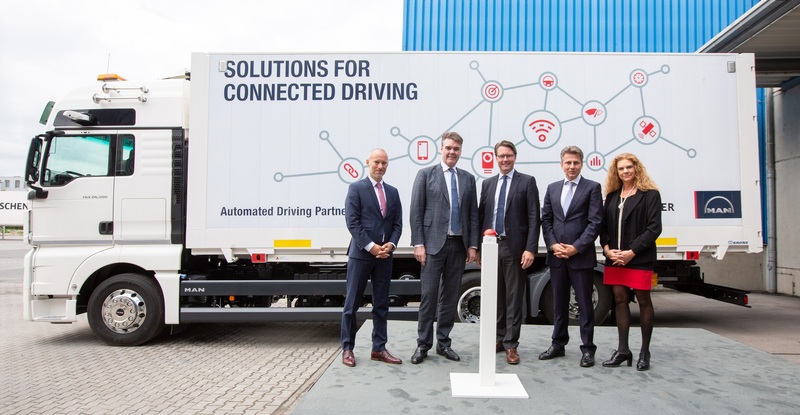 With MAN Truck & Bus and DB Schenker, two of the world's leadingcompanies in their sectors are cooperating to jointly promote the subject of automated driving. "It's not just about using a technology. It's about integrating it effectively into the entire logistics chain. The findings from the joint project are an important step towards series development. 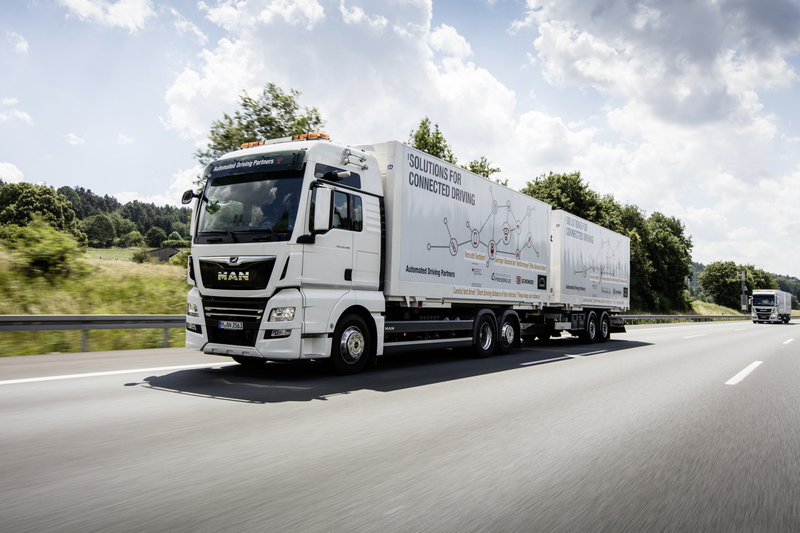 This will give MAN a leading role in the automation and digitization of commercial vehicles," said Joachim Drees, CEO of MAN Truck & Bus AG. Since the collaboration began in May 2017 and the official handover of the test vehicles by MAN in February of this year, the truck drivers have been prepared for their role in the project through intensive training. The psychosocial and neurophysiological effects of the new technology on the drivers in the platoon will be examined by Hochschule Fresenius with an accompanying study. This will allow important experiences of the truck drivers to be incorporated and their job profile developed further. "It's obvious that digitization of the mobility and transport system is leading to completely new requirements for employees in the industry," said Prof. Dr. Christian Haas, Director of the Institute for Complex Health Research at Hochschule Fresenius. We hope that our findings can also contribute to a better understanding and design of other digitized humanmachine interfaces."